It took The Teenager to point it out to me, but Crabtree & Evelyn really does sound like something out of Harry Potter, doesn’t it? You can just see one of their quintessentially English stores nestling quite nicely in Diagon Alley. The history of the brand is fascinating. I was surprised to find that it was founded in 1972, even though it has the air of a heritage brand that’s been around for centuries. 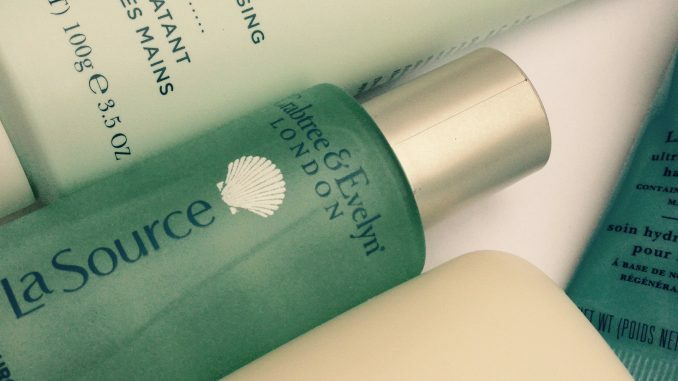 This is because Crabtree & Evelyn is inspired by John Evelyn, a 17th Century English naturalist and conservationist. The Crabtree part of the name comes from the Crab Apple Tree, which is native to Britain and the ancestor of all apple trees. The tree represents beauty and the natural goodness inherent in the brand. So there you go. Evelyn’s personal motto was Explore everything, Keep the best and the company still takes inspiration from this. And with that in mind, they have refreshed and relaunched their La Source range, fresh for 2017. The La Source Collection is all about the scent of the sea, plus rich marine ingredients to restore suppleness and vitality. It’s evocative of sea breezes, barefoot walks along the shore and holidays on the beach. It’s quite gender-neutral and ageless, though I suspect pirates would like it a lot. If you want an uplifting scent to take you from Spring into Summer, this is it. Crabtree & Evelyn La Source is a quite a wide range, and I tried out a few of the highlights. Star turn to me was the Miracle Moisturising Hand Scrub, which contains Green Seaweed Extract and nourishing Blue Sea Kale. It’s a satisfyingly scrubby scrub, thanks to the presence of three sizes of salt crystals plus finely ground pumice to polish and exfoliate the hands. Moisturising elements in the form of macadamia nut oil and palm butter means that it leaves the hands feeling soft and nourished. If you want to really complete the treatment, follow with La Source Ultra-Moisturising Hand Therapy. The range as a whole is very moisturising – even the La Source soap contains shea butter. The scent across the range is very clean and crisp, natural and long lasting. The Eau de Toilette, which doubles up as terrific hair perfume, lasts almost as long as an Eau de Parfum. The salty sea dogs amongst you will love it. 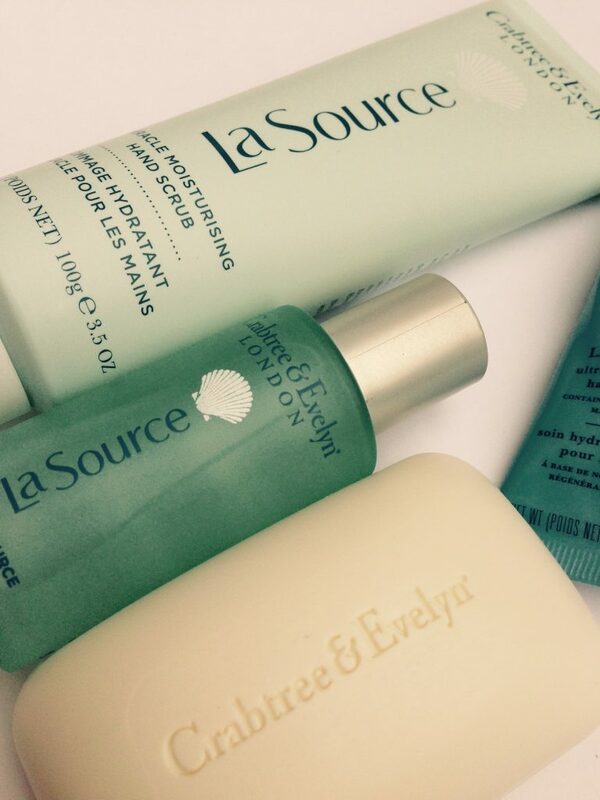 You can see the full La Source range online here at Crabtree & Evelyn. (Currently with a 3 for 2 offer on across the whole site). Also available in Crabtree & Evelyn stores and from selected retailers including John Lewis and Amazon.